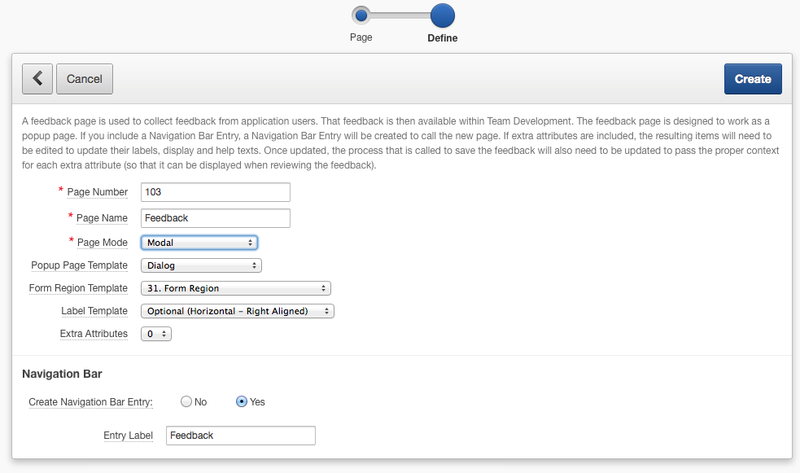 One of the first things I do when creating a new application is enabling the feedback mechanism in combination with Team Development. The Page Mode can now be set to Modal, so instead of a popup it will render as a modal. 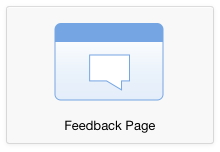 Note that in the EA1 version there are some known issues with the Feedback Page, which will be resolved in one of the next iterations of EA. One issue made me think that once I upgraded my applications to APEX 5.0 I probably want to start searching for "apex.navigation.popup.url" and change those to become the native APEX 5.0 modal windows. It's those "small" things like declarative modal windows which make a big difference in development effort and clean code. 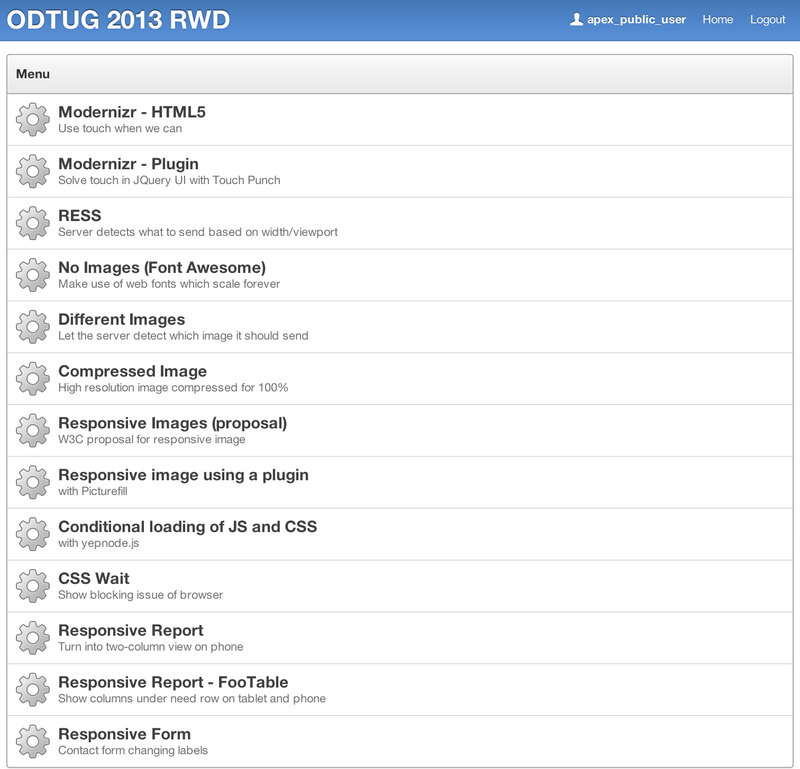 But more on modal windows in a dedicated post. I love the Feedback mechanism and how it integrates with Team Development, but if it had one more feature, I would be thrilled. It's great to know session state, it's great people can add a comment, but sometimes a picture shows more than a 1000 words. So if we could click a button that took a screen capture and we could annotate that... wouldn't that be awesome? The result would be an image with the feedback in Team Development. 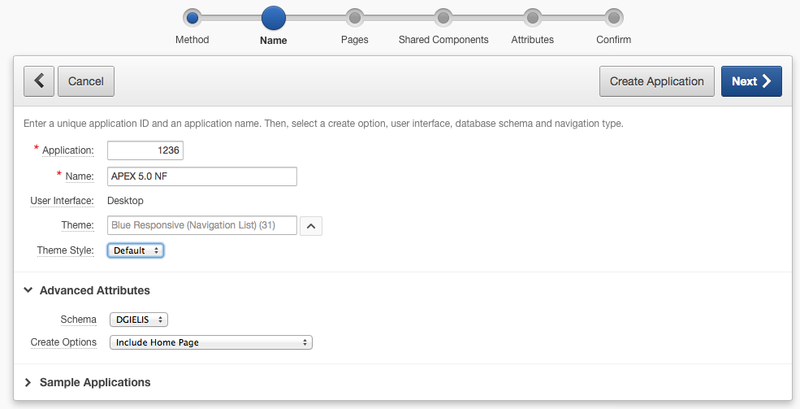 Lets see how creating a new Database application works in APEX 5.0 and what was changed compared to APEX 4.2. 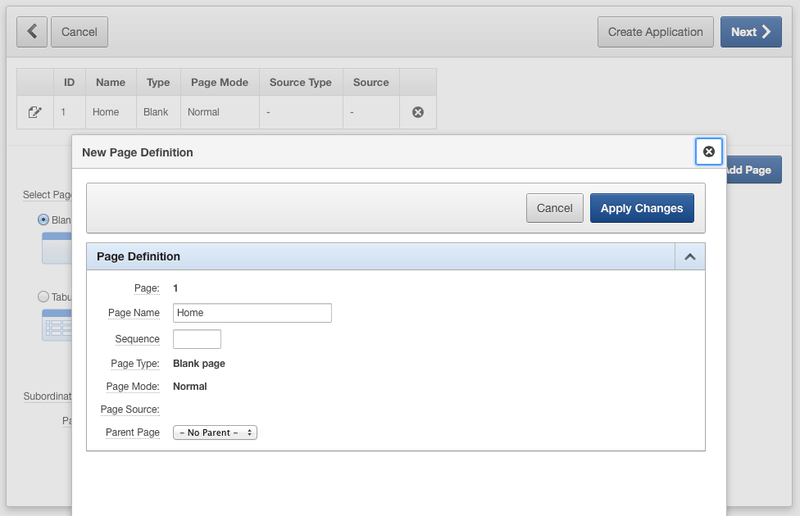 In the Application Builder you start by hitting the Create button. You'll see APEX 5.0 includes a complete new set of icons which are flat and fresh and immediately give you an insight what the button is doing. This is throughout the entire release. The icons are now driven by base64 encoded strings in css which is more performant than to call every icon as a separate image (what happened prior APEX 5.0). The default theme is now "Blue Responsive (Navigation List)", which makes a lot of sense as its inline with the industry standards to make responsive applications. The "Navigation List" replaces the "Tabs" of before. Personally I already used Lists to do the navigation in 99% of the cases in APEX 4.x, as they are way more flexible than Tabs, and if you want you can give the List the look and feel of a Tab anyway. New is the "Theme Style" which has currently two options: Default and Red. 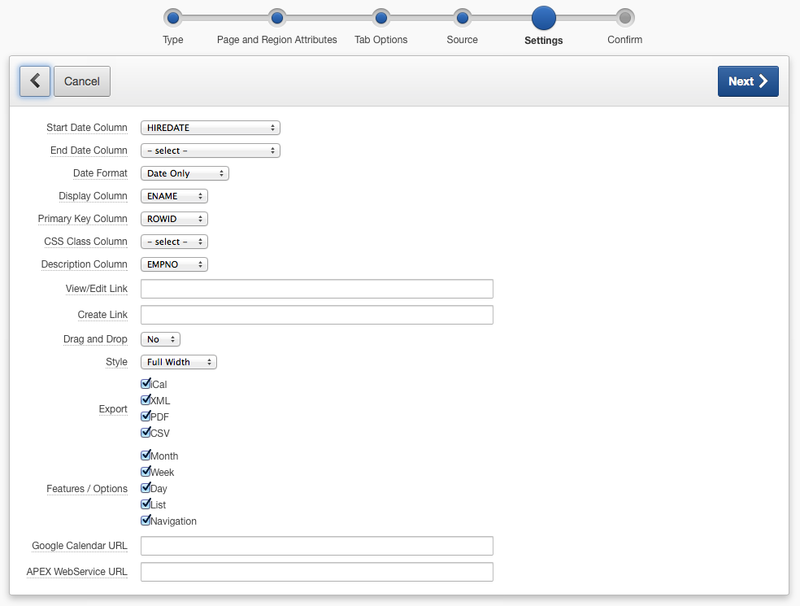 So the themes in APEX 5.0 will be easier to change based on a style. The main HTML in the templates stays the same, but with a different css you get another look and feel. 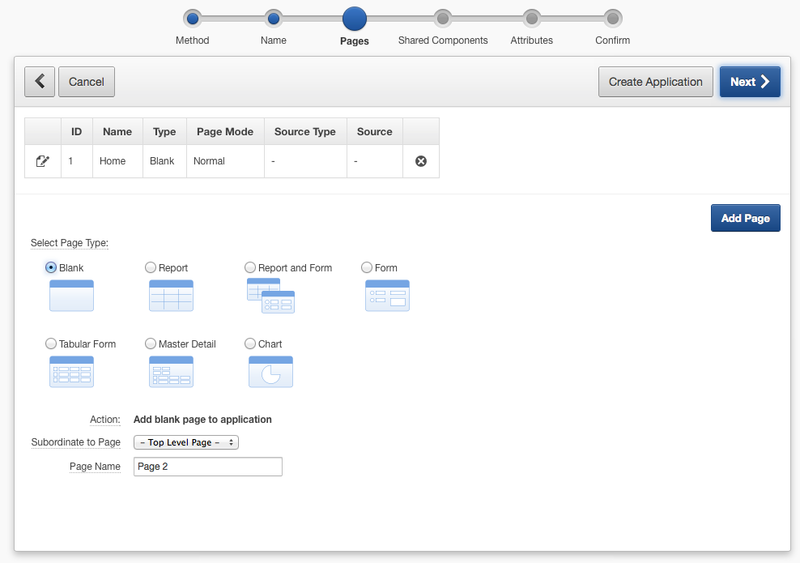 Moving on in the wizard gives the possibilities to add pages to the application. More intuitive icon in front of the page to edit the page (see next screenshot). In APEX 4.x you could edit the page to by clicking on the name of the page. 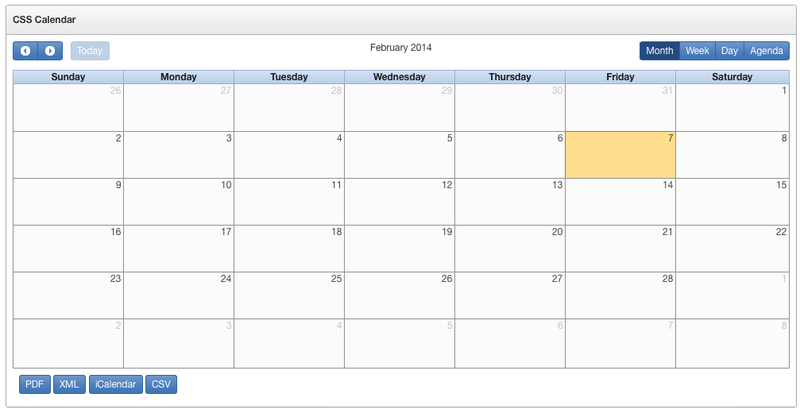 That gave a popup window, where in APEX 5.0 it's implemented as a modal window. This is a good showcase of the new Modal window feature of APEX 5.0 which you can define declarative now (more on that in another post). The final screen gives an overview of the application and what APEX will create. As you can see, already in the creation of a database application in APEX 5.0 many new features and small enhancements are included. Now that APEX 5.0 EA is out, it's time to do a deep dive in the new features of this early adopter (EA) release. 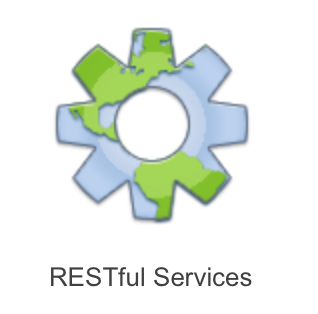 Overall this new version of Oracle Application Express tries to put even more power and speed in the development. The UI is made simpler and cleaner with a fresher look and feel. Not every part of APEX got an overhaul in EA1, it remains to be seen if in EA2 more pages are updated. I'll update this post with links to the more detailed blog posts of the specific parts. 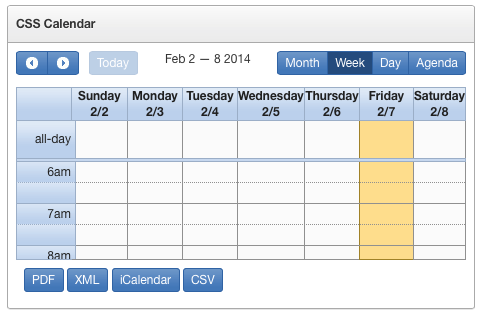 So stay tuned... this post is the index for the next series of APEX 5.0 (EA) posts.